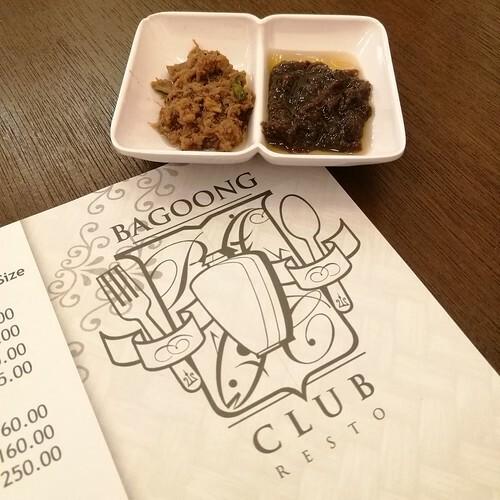 Bagoong & more Filipino Cuisine at Bagoong Club Resto in Davao! 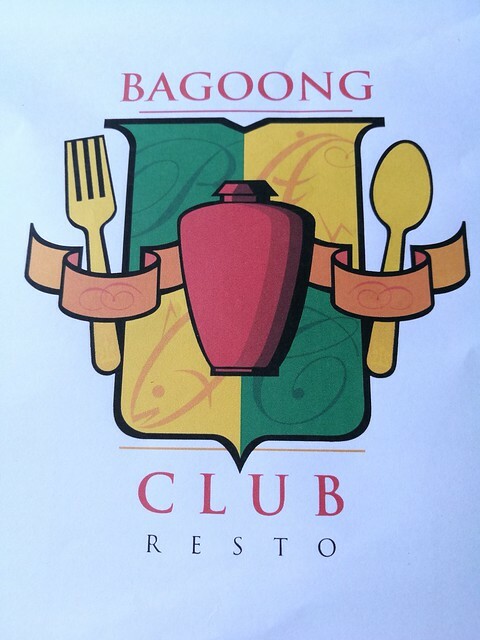 Bagoong Club Resto has joined the continuously growing and evolving food scene of our city. I am particularly happy to know this area in the University Avenue is becoming alive, especially in the nearby Tulip Drive in Matina, with restos opening and branching out in these areas of the city catering to our foodies in the south area. 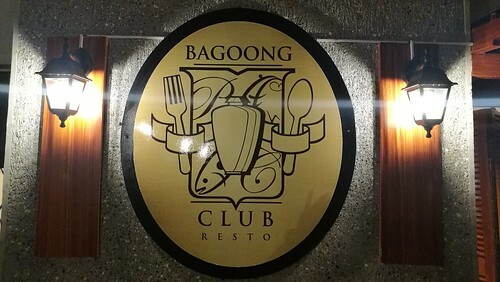 Bagoong Club Resto opened last April 21, 2017 at 123 University Avenue corner Talisay Street in Juna Subdivision, Matina, Davao City. It is just near the Philippine Women’s College. This is the fourth branch of BC in the Philippines and the first one outside Metro Manila that opened right here in the home city of President Duterte. The owner of Bagoong Club, Dr. Amable C. Aguiluz IX was born in Davao. If it is your first time in their area, it won’t be hard to spot the resto particularly at night. You would immediately and should easily see this large, colorful sign above just like when we were approaching the place that night we dined there with friends from DDI. 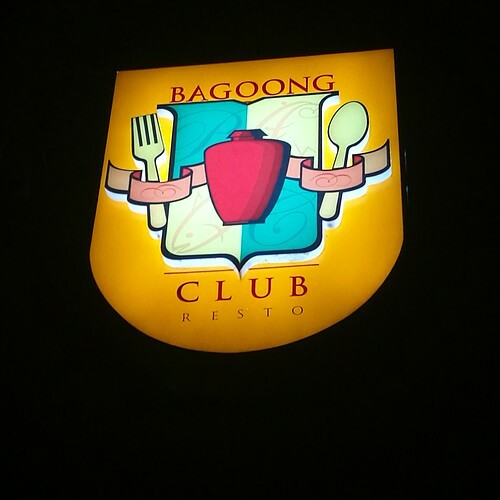 The resto has a nice facade and is well lit outside with the sign that spells out the name of the resto – Bagoong Club. 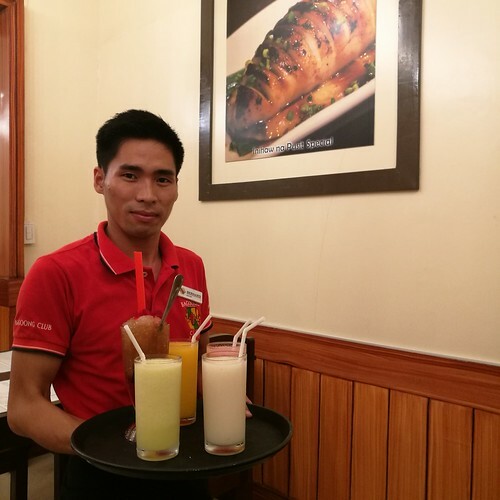 Their staff were warm and friendly in welcoming every guest and diner that came into the resto making you instantly feel at home. I hope it is a habit that they won’t get tired of doing as part of making their customers feel more at home when they visit and make their dining experience better, if not the best. 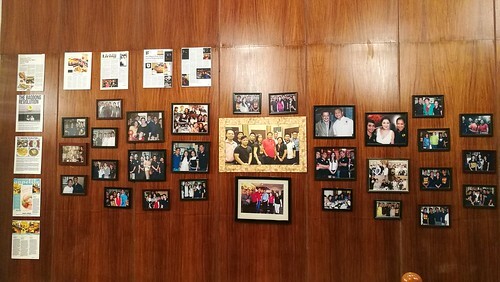 Upon entering the resto, you will see this wall of framed photos of celebrities and personalities who have dined at BC branches as well as news feature clippings about Bagoong Club. 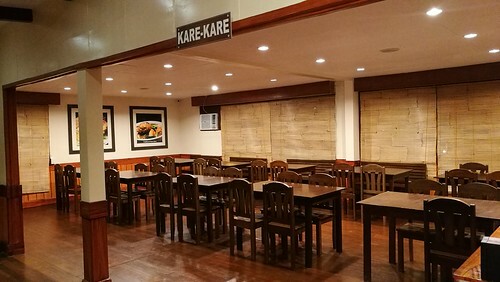 They have a function room there called ‘Kare-Kare’ for a group of around 40 people. Another function room called ‘Ukoy’ for small group meeting is being used temporarily as their office. 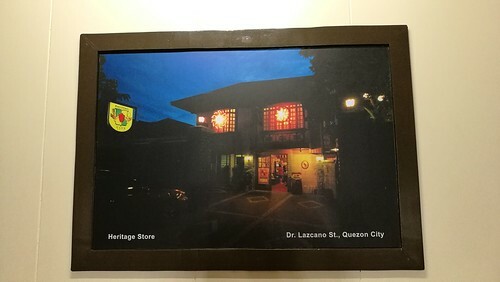 You will also spot this photo below of their Quezon City branch in 122 Scout Dr. Lazcano Street Sacred Heart, Tomas Morato. Their other two branches are in Tagaytay and Antipolo City. I noticed they seem to have a preference of having old homes renovated to become their restaurants. 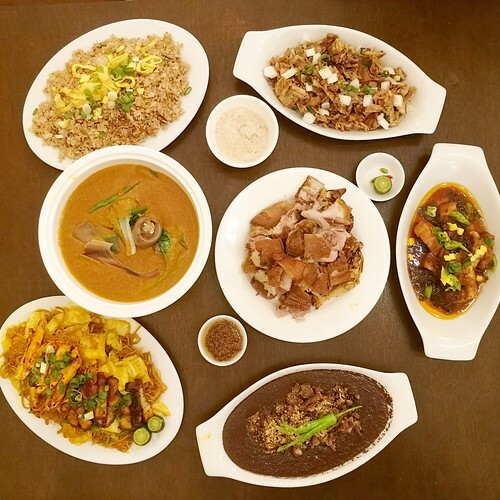 It gives diners basically the feeling of being at home just like when most Filipino families gather at the comfort of their own homes during family day which is normally Sundays for many of us, while enjoying together lunch or dinner with classic Filipino dishes. 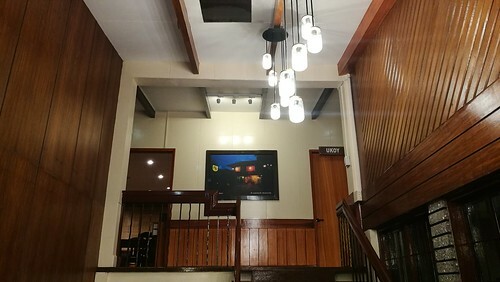 At BC, they make you feel at home while giving some of those classic Filipino dishes some twist or a unique way of offering home cooked Filipino dishes to their valued customers. We dined at their ‘Laing’ function room. 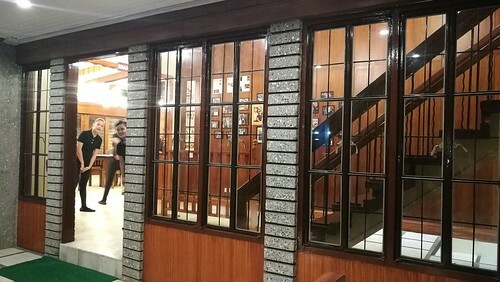 It can hold a small group of people for functions or family gatherings like birthday parties and other celebrations during special occasions. I actually like the whole home concept of the resto. It may look simple but it is spacious, clean and has a homey feeling for me. 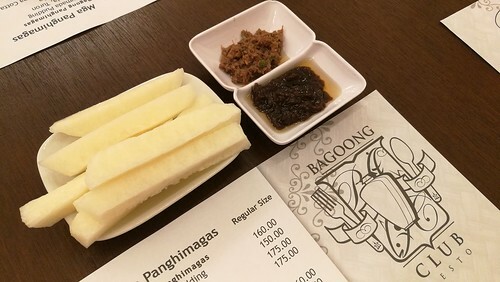 Each meal at Bagoong Club comes with an appetizer, a complimentary treat of sliced singkamas (turnips) served with bagoong dips. They were serving it with two kinds: Bagoong Pag-Ibig (sweet) and Bagoong Umaga (spicy/chili). 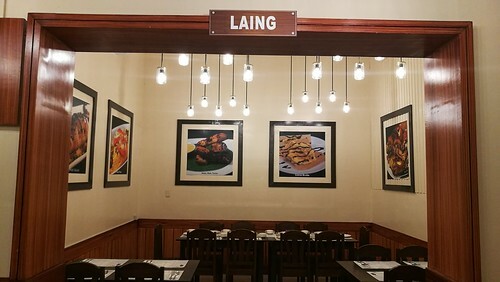 They have other kinds of bagoong: Bagoong Lipunan (regular), Bagoong Buhay (with coconut milk or gata) and Bagoong Europa (Italian-inspired, mixed with European herbs and spices), Bagoong Asya (Asian flavors) and the Bagoong Club Special (with crab fat). 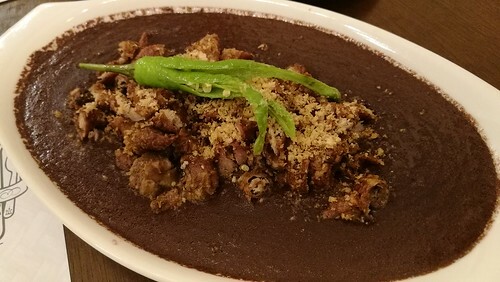 Ukoy is one of the best sellers in Bagoong Club. I actually enjoyed eating this as our group were chatting. 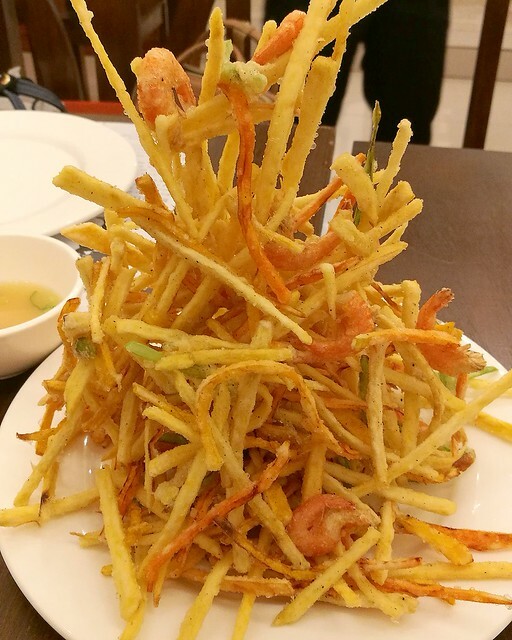 It is a heap of fried shrimps, slices of carrots and sweet potato fritters. They served their Club Binagoongan Special. 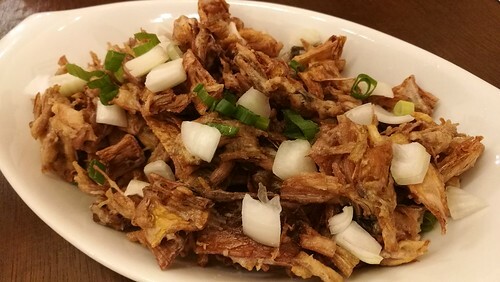 One of our all time fave is the pork binagoongan. 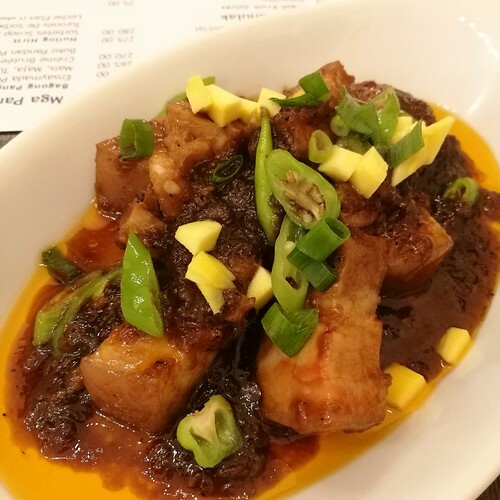 What is interesting to realize for me when we dined at BC for the first time is that their bagoong tasted sweet and not the usual salty type of bagoong that most of us are used to. A friend pointed out that the bagoong dishes in Manila aren’t as salty as we usually expect it to be. Well the taste of bagoong varies now from salty to spicy and sweet. I used to like the spicy bagoong of the BF brand in the market in particular. Many Filipino families like bagoong added to their dishes like a fixture added to their meals. Or simply have it as a side dish just like this traditional Kare-Kare at BC. 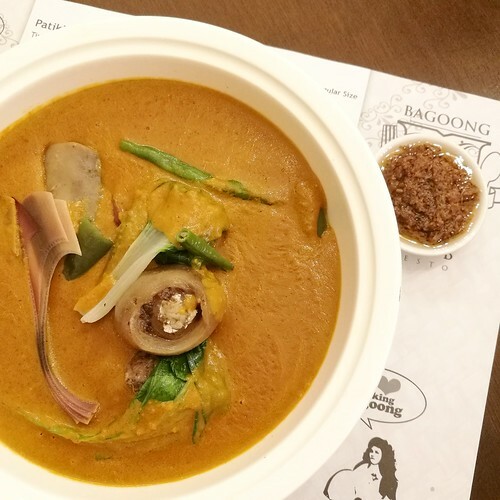 This is one of the Kanya-Kanyang Kare-Kare in their menu which offers four kinds of Kare-Kare. I like their creamy peanut sauce for this one. 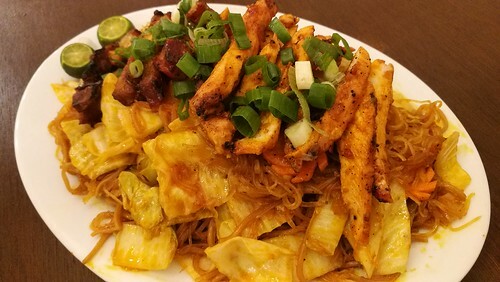 Here’s a best seller that I indulged in… their Pancit Inasal! It’s good for sharing and a tummy-filling dish on its own. 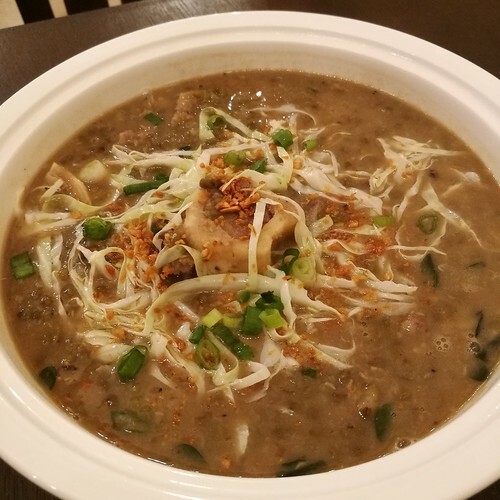 Their Bulalo sa Monggo or monggo beans cooked in beef and bone marrow soup is also a must-try dish in BC. 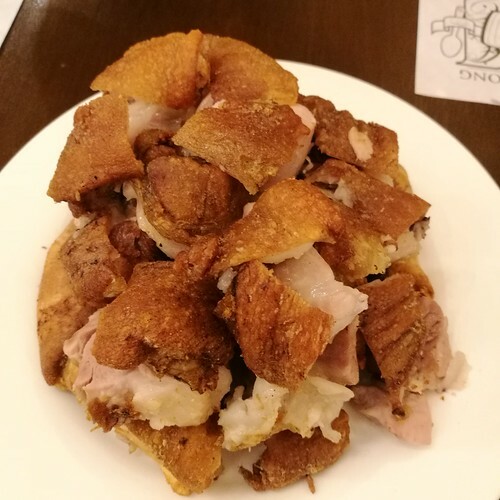 Now this popular dish and perhaps an all-time favorite for Filipinos when they dine out and is somehow a must-have in the menu of any popular Filipino restaurants in and out of town… the Crispy Pata! 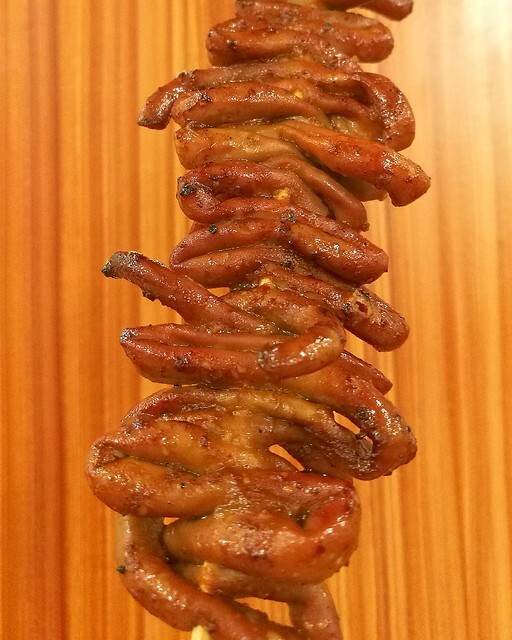 Those pork legs which are deep-fried until golden and crispy! It has been chopped before they served it on our table. Look at that heap! 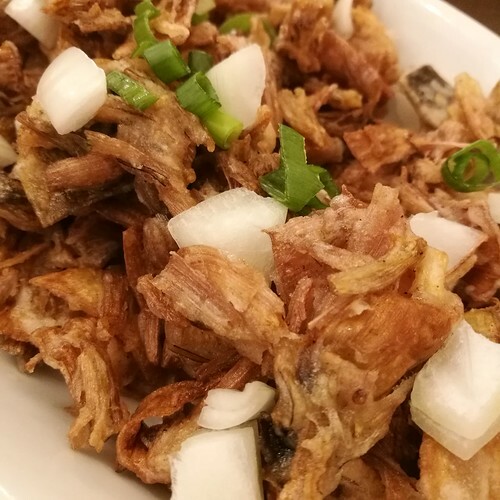 Mula sa Puso or crispy puso ng saging sisig that has an interesting dip made of mayonnaise and pig brain! I find it interesting that BC serves popular Filipino street foods just like the ISAW! 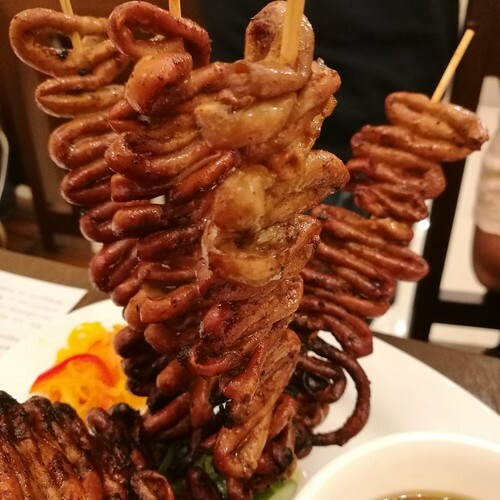 It is a street food popular in the Philippines which is made from pig or chicken intestines. From what I have heard from other people, they really like BC’s Isaw. 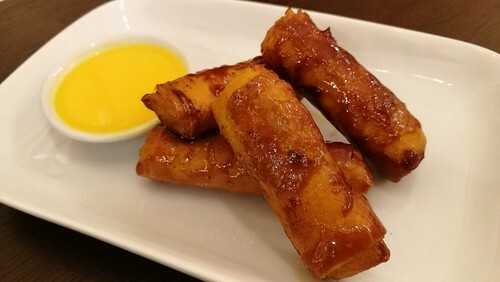 Dessert is a must on any Filipino family gatherings… Bagoong Club has this Maja, Mais and Turon rolled in one dessert. 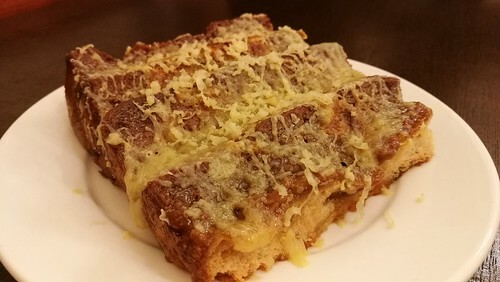 We enjoyed sharing this Ensaymada Pudding… which is best eaten while it’s served warm. 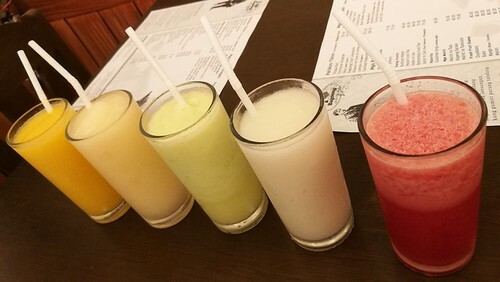 Quench your thirst for refreshing drinks on any hot day not just this summer. They have these fresh fruit shakes for you! I got the fresh melon shake and I could only wish it was unlimited! We’ve been having melon drinks at our place with my boys and I am sure they would love it too to have those refreshing fresh fruit shakes! 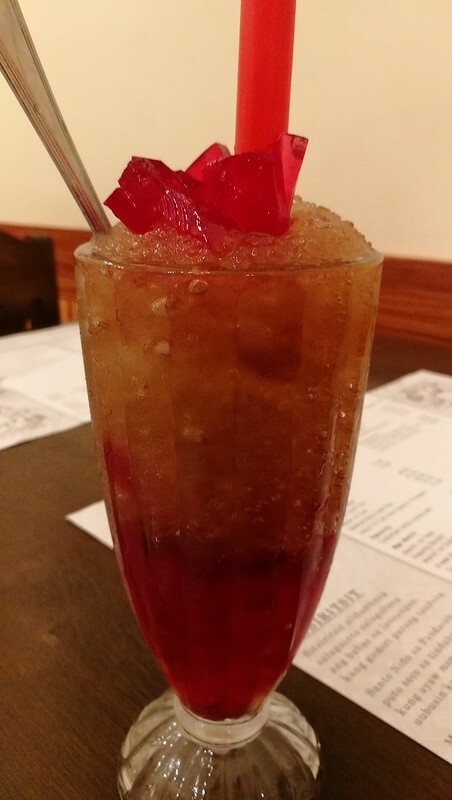 Another option for refreshment is their Gulaman Lang (walang sago). It has interesting and amusing names for their menu categories, if you would notice, once you go over their menu. I will be back there with my boys next time. 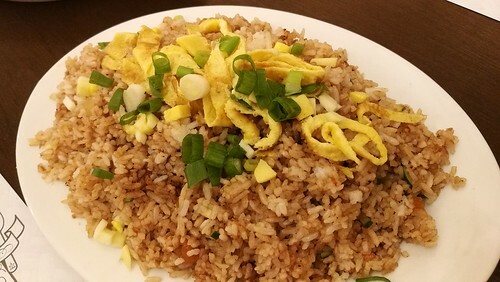 There are still many dishes we can try on our next visit to this resto. My boys and I still have a long and extended summer vacation ahead of us this year. 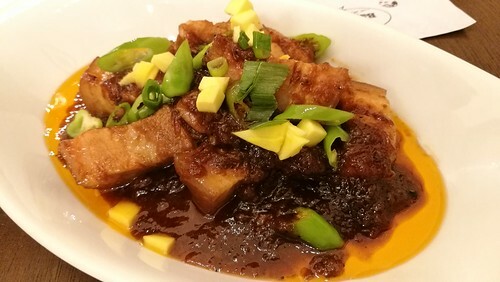 I am quite sure we will find time to visit this and explore the other dishes that Bagoong Club has to offer. Father’s Day is coming up this month. 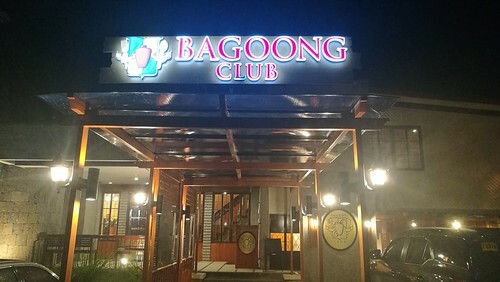 If you are looking for a place to dine with the family and celebrate this special day for dads, well Bagoong Club Resto Davao will be happy to have you and welcome your family! We will love it if you do tag us @DavaoFoodTrip in your photos on social media! You may also visit their Facebook page: https://web.facebook.com/bagoongclub for more updates especially on their promos.